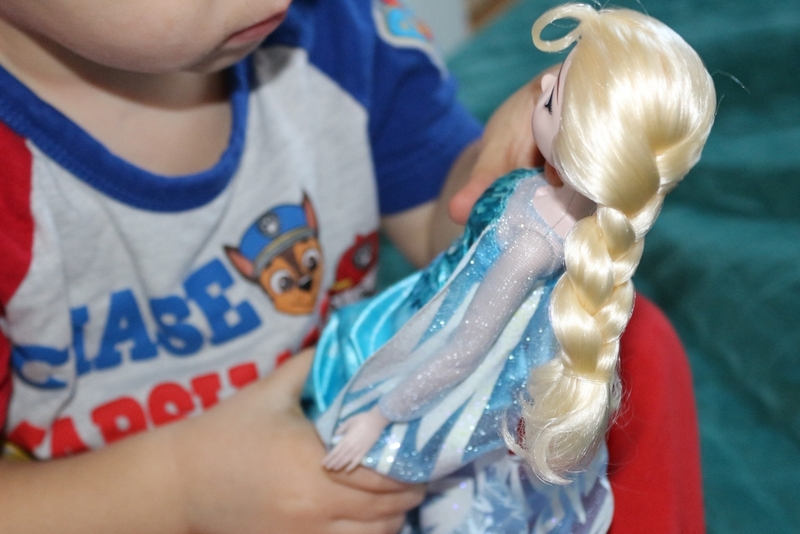 The Frozen Play-a-Melody Gown Elsa from toymaker Hasbro was a tricky toy to review, as it’s on my four year old’s Christmas list. 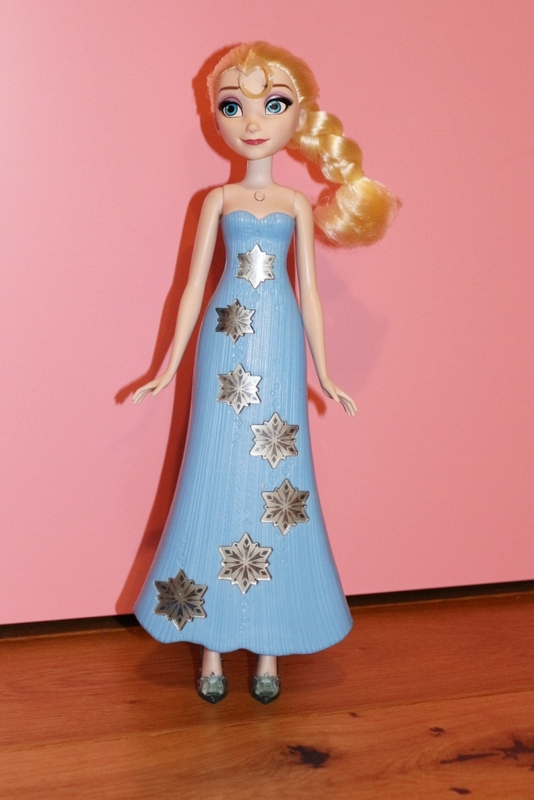 Combining her two loves of Disney Princesses and music, the Frozen Play-a-Melody Gown Elsa was bound to be a hit and practically leapt off the toy shop shelf at her. 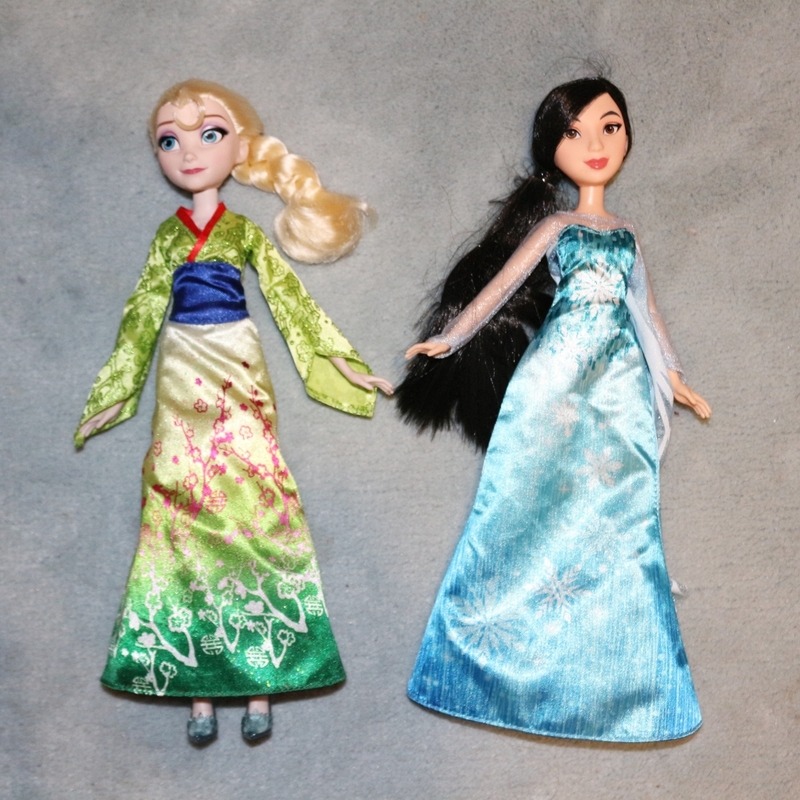 The Frozen Play-a-Melody Gown Elsa is the same size as any other standard doll. Standing (propped up and not by herself) at just under 12 inches/30cm she has very similar proportions to other dolls we own. 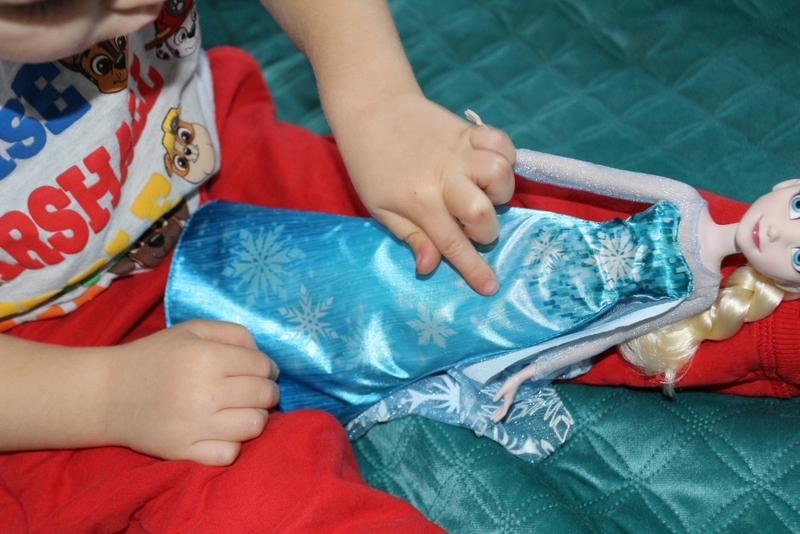 Underneath her Elsa dress (which can be fully removed) is a solid plastic casing containing a touch-sensitive keyboard, which you play by pressing the snowflakes on Elsa’s gown. The doll takes 3AAA batteries but does come with demo batteries. Get some spare in case they run out though, you never know how many times it may have been pressed in the shop! You turn Elsa on by using the switch on the bottom and pushing to I (O is off and * is demo mode). You can activate her by pressing the button on her neck. 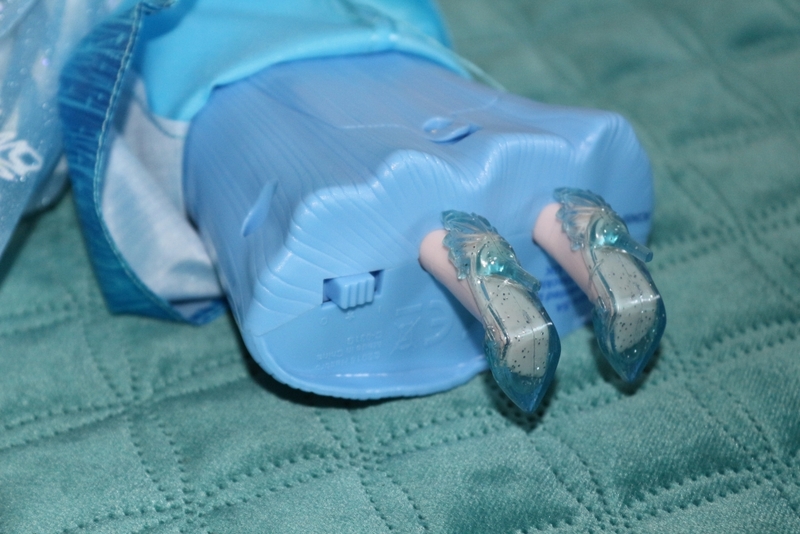 The Frozen Play-a-Melody Gown musical Elsa has three modes which are activated by pressing the button. 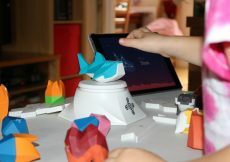 On the first press you’ll enter ‘free play’ mode and can press any of the snowflakes to make your own tune, or look at the guidance on the instruction booklet which shows you how to play part of ‘Do You Want to Build a Snowman’. 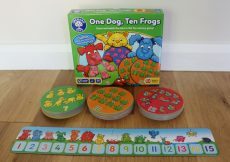 This is great for younger children who just want to make noise and haven’t yet mastered the whole ‘instructions’ thing. 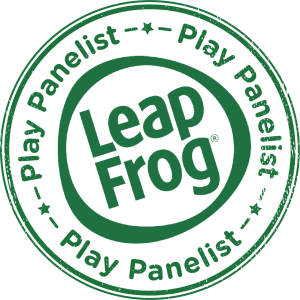 On the second press, you enter ‘guided mode’. Snowflakes light up and show you where to press to play ‘Let It Go’ at your own speed. My four year old will easily be able to follow this and the small one had a blooming good go. Finally, if you press the button a third time you enter ‘music mode’ which shows you how to play ‘Let It Go’ along to background music. This is probably a bit tricky for the young ones, but will definitely keep a young school-aged child amused for ages! She goes into sleep mode when you haven’t used her for 30 seconds and can be turned back on by pressing the button on her chest. 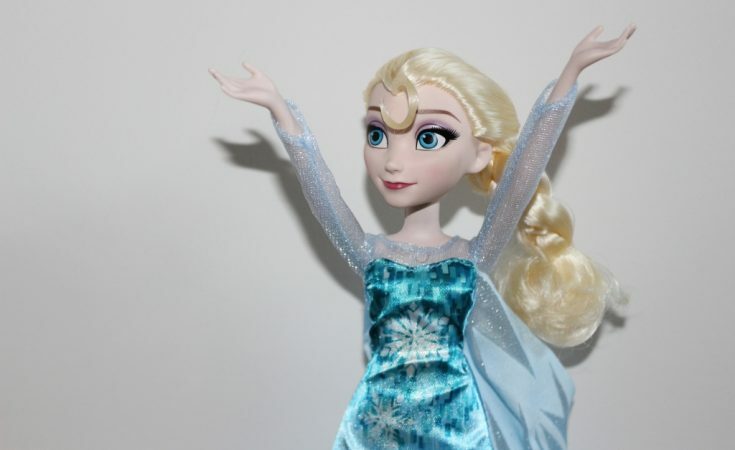 Disney Frozen Play-a-Melody Gown Elsa is suitable for ages 3+ but as mentioned above, a slightly older child (4/5) would probably get more out of it and be able to follow the notes properly. I like the fact that she is the same size as our other Disney Princess dolls and can therefore be played with and dressed with them. It’s even tricky, but achievable, to swap clothes with similar sized dolls. Her hair comes in the classic Elsa plait but I’m sure that this will come out soon enough so that it can be brushed and (badly) restyled. 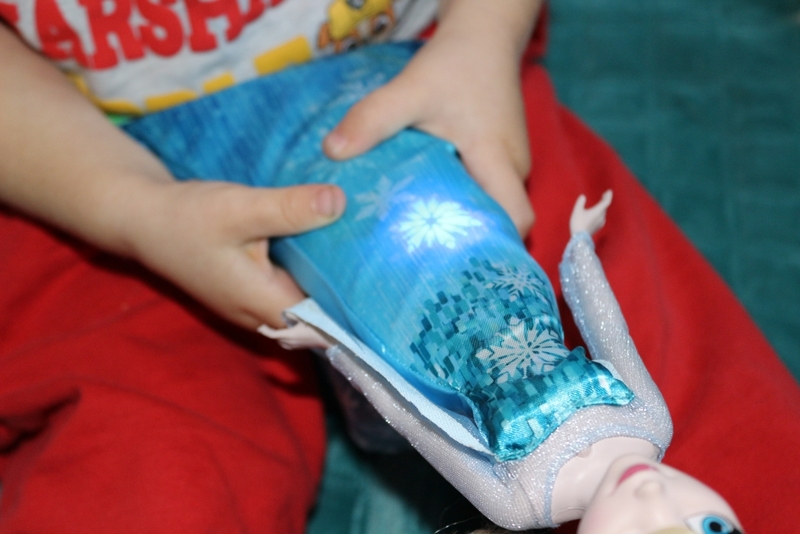 Here is a quick video of Frozen Play-A-Melody Gown Elsa in action! 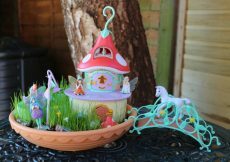 The musical Elsa doll is great fun, adding an extra element of creativity to the classic Elsa doll which children will love. 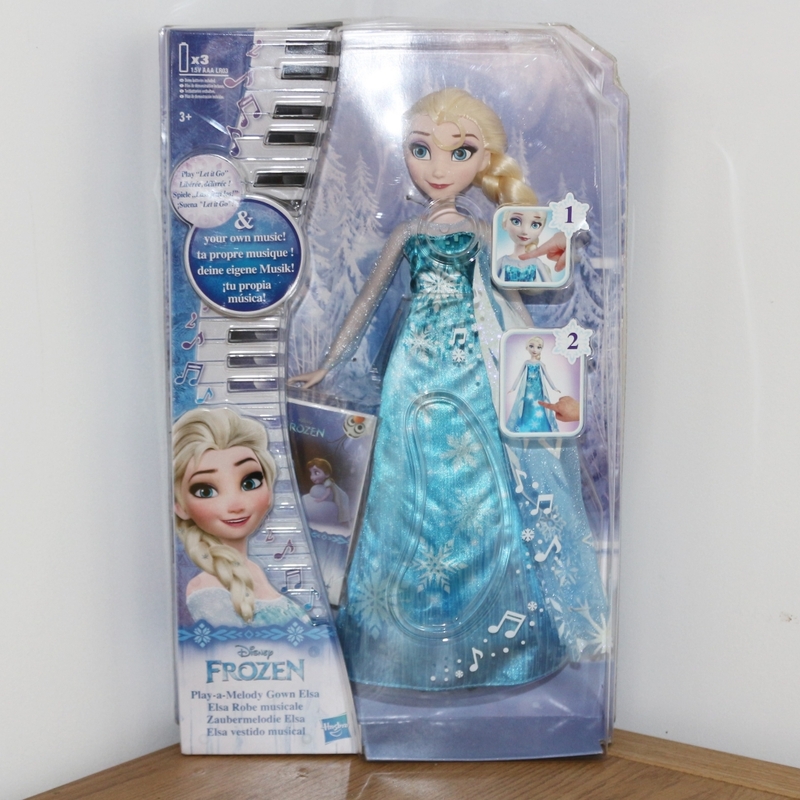 You can buy the Hasbro Disney Frozen Play-A-Melody Gown musical Elsa doll, RRP £34.99, from most toy retailers including Amazon here. 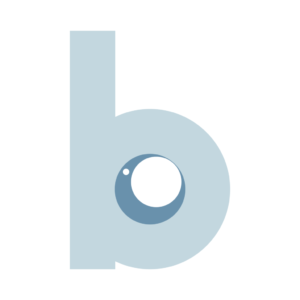 You can follow Hasbro Toys on Twitter for updates. ﻿ The doll was given to us free of charge for the purposes of this review but words and pictures are mine.